Cracks began to show in Bill Morneau's cucumber-cool countenance Friday as the finance minister faced still more questions about the handling of his personal fortune, even after pledging to sell at least $21 million worth of stock in hopes of muting conflict-of-interest allegations. More than once, Morneau struck a note of exasperation during a news conference in Waterloo where he was promoting the Liberal government's efforts to address concerns and complaints about a package of proposed small-business tax reforms. Just the day before, the former businessman committed to sell about one million shares in Morneau Shepell, the family-founded human resources and pension management firm that he helped build over 25 years, and to put the rest of his substantial personal assets in a blind trust. But if those steps -- over and above what Canada's ethics commissioner told him would be necessary, he reinterated -- were meant to silence questions from journalists and opposition critics, Morneau was sorely mistaken. At one point, he was asked about his use of numbered holding companies based in Alberta and Ontario to hold some of his assets. "So, is the question why they're numbered companies and they don't have names? You know, seriously," Morneau replied, all but rolling his eyes. "The process we have in our country isn't that I report to journalists on my personal situation. It's that I report to the ethics commissioner and I make sure that she fully understands my situation." 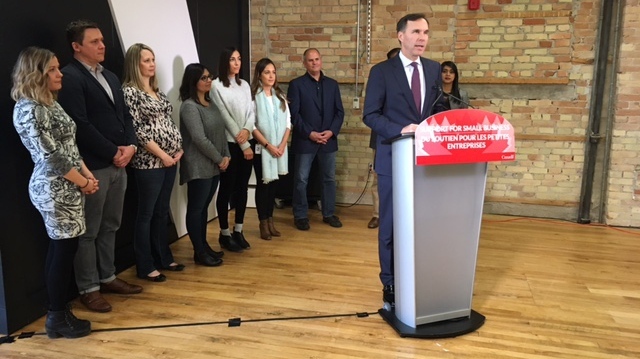 Morneau was in Waterloo to announce government plans to work with the venture capital and angel investment sectors to address concerns about the tax reform proposals and ensure investment in the country's fastest-growing companies is not impeded. It was just the latest in a series of changes Morneau has announced throughout the week to the tax reform plan. 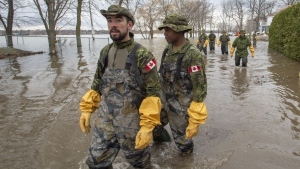 The changes have been welcomed by business groups, farmers and others who'd denounced the original proposals, although they continue withhold final judgment until they see the details. But the announcements, including revival of a promise to cut the small business tax rate to nine per cent, have been overshadowed by the controversy swirling around Morneau's personal finances and ethics. "By following the rules and by living up to the highest standards, by respecting the officer of Parliament, you know, I expected that that should work. I expected that doing what finance ministers before me had done, doing what the other 337 members of Parliament of have done, is the right way to address that issue," he said at one point. "What I found is that there's some noise around this. There's people like you asking about specific issues in my personal finances." Morneau reiterated Friday that he followed the advice of federal ethics commissioner Mary Dawson to the letter and is now going beyond her recommendations in selling off his Morneau Shepell shares and putting everything else in blind trust. In a letter to Morneau shortly after he was appointed to cabinet, Dawson told him he was "not required" to divest his assets or put them in a blind trust because they were not directly held by him but by numbered companies he owned. 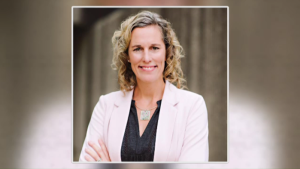 She recommended that "the best measure of compliance" would be to set up a conflict-of-interest screen, administered by his chief of staff, to ensure he abstained from any discussion or decision that might impact the interests of Morneau Shepell. Such a screen would prevent any appearance of a conflict of interest and "also ensure the integrity and impartiality of cabinet decisions and maintain the public's confidence," Dawson wrote in the letter, released by Morneau's office Thursday. Morneau did set up the screen, as advised, but that has done nothing to quell accusations from opposition parties that he broke the law and put himself in a blatant conflict of interest. In the House of Commons on Friday, Conservative finance critic Pierre Poilievre called on Morneau to disclose whether he recused himself from making decisions on a number of issues that could have benefited Morneau Shepell, a human resources and pension management company. "Did he recuse himself from any discussions on the Barbados tax haven where his company has a subsidiary?" Poilievre demanded. "Did he recuse himself from any discussions on target benefit pension plans, from which his company stands to profit in the millions? Did he recuse himself from tax policies forcing small businesses to invest in individualized pension plans from which his company stands to profit?" In her letter to Morneau, Dawson noted that he was not required to recuse himself from "an interest in a decision or matter that is of general application." However, New Democrat MP Murray Rankin said following Dawson's advice doesn't excuse Morneau. "Even if he were following all the rules, he must understand that any reasonable person would conclude that, at the very least, he was in an apparent conflict of interest and certainly failed to exercise the kind of judgment one would expect from a finance minister," he said. Rankin called on Morneau to "apologize to Canadians for breaking their trust."